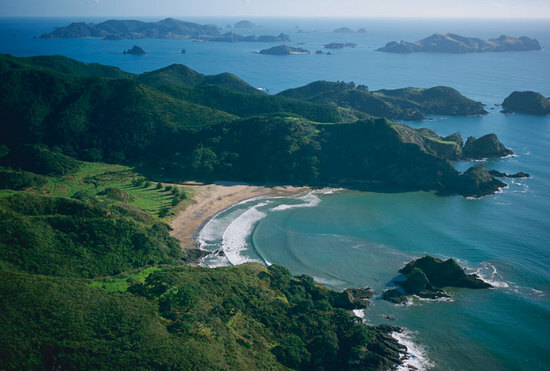 Hidden away in the Bay of Islands in the North Island of New Zealand is The Lodge at Kauri Cliffs. 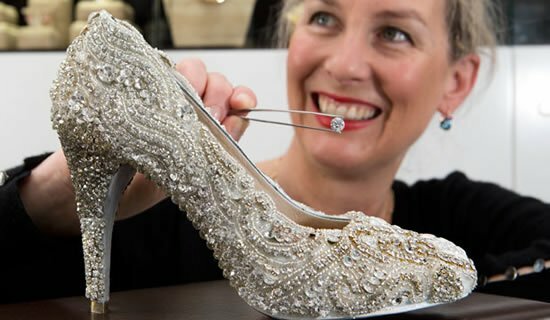 With an incredible array of awards under its belt, this lodge is the epitome of Luxury accommodation. 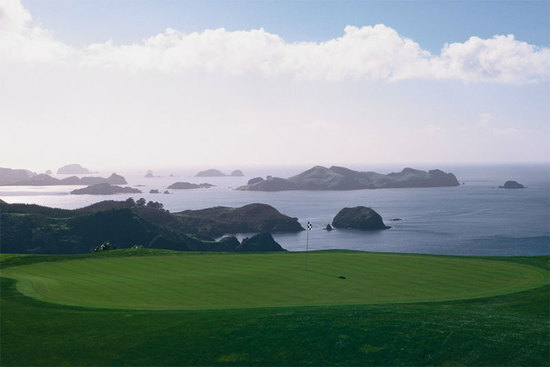 Set on 6,500 acres near Matauri Bay, Northland, with a spectacular 180-degree view of the Pacific Ocean, the Lodge features a Par 72 PGA championship golf course designed by David Harman. 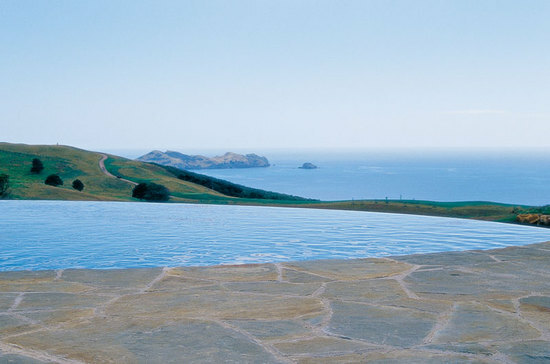 The main Lodge affords a panoramic view of Cape Brett and the Cavalli Islands from the verandas, lounges and dining rooms. 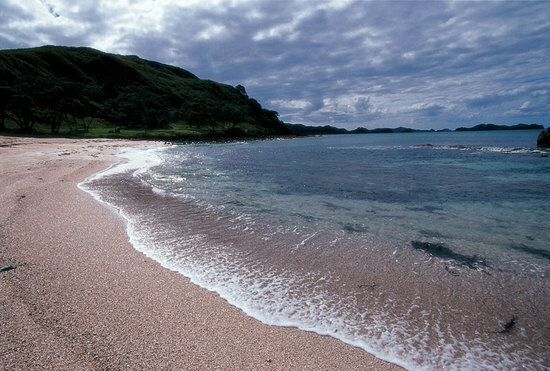 The Lodge has accommodations that cover 22 guest suites and a two Bedroom Owner’s Cottage. 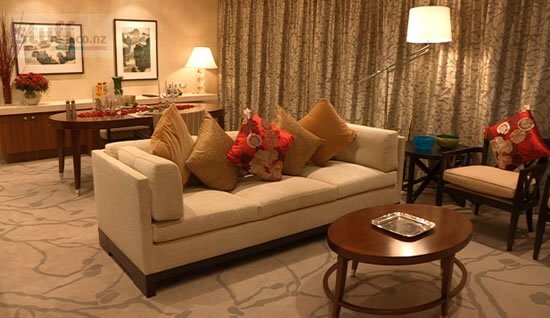 Every suite caters to your needs both individually and as a couple with a private porch, an open fireplace, walk-in his and hers wardrobes and a bathroom with a shower, bathtub and his and hers vanities. The cottages nuzzled inside a native forest have a beautiful view of the world-class golf course from their private verandas. 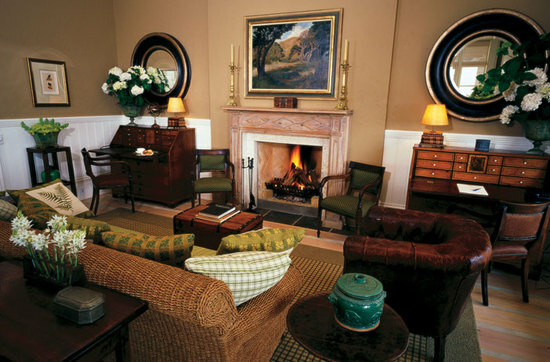 The cottages are filled with old school luxury in the form of writing desks, ottomans, rattan armchairs and fireplaces. A sprawling 4,200 foot owner’s cottage is the pinnacle of Lodge accommodations, with two bedrooms, a study, a private Infinity pool, hot tub and an in house chef when requested. 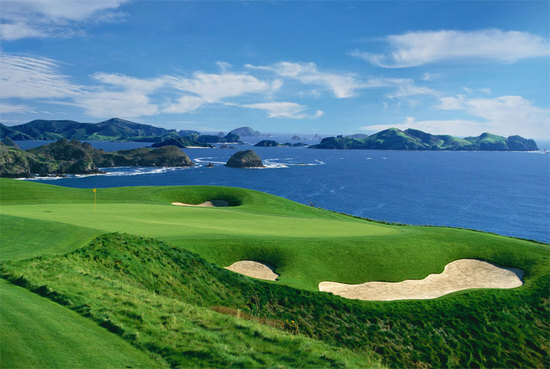 Along with two Astroturf tennis courts, an infinity swimming pool and three secluded swimming beaches, Kauri Cliffs is best known for it’s expertly designed 15 hole golf course, that whilst providing a panoramic view of the Pacific Ocean are played alongside cliffs that plunge down into it. With five sets of tees, this golf course challenges every skill level and a visit here is a must for any golf enthusiast. 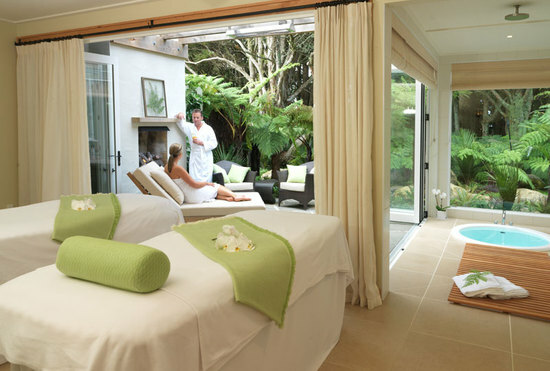 Due to Kauri Cliffs’s unique location nestled inside a Totara forest it can offer a unique range of holistic spa experiences using natural and indigenous products. 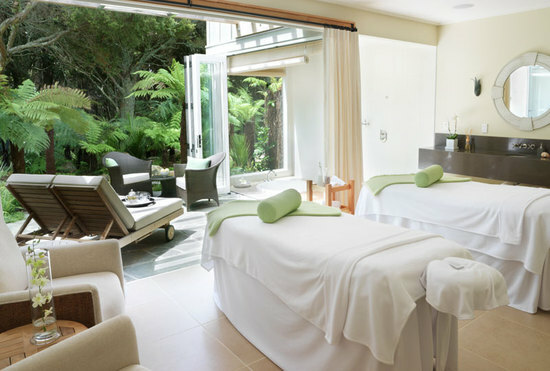 Each of the unique treatment rooms open onto a private patio and stream with a view an unbelievable view of the forest. Additional facilities enhance the spa experience, such as the Jacuzzi, sauna, fitness Centre and indoor lap pool. 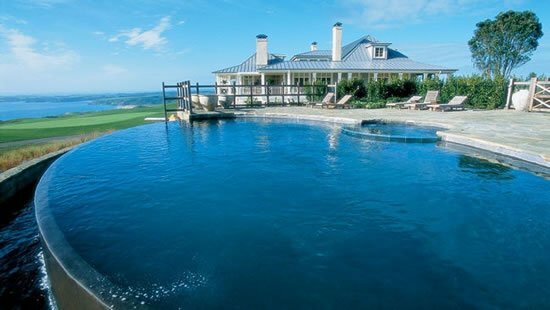 The Lodge at Kauri Cliffs is also a member of Relais & Chateaux, which is an exclusive collection of the finest hotels and gourmet restaurants in the world. 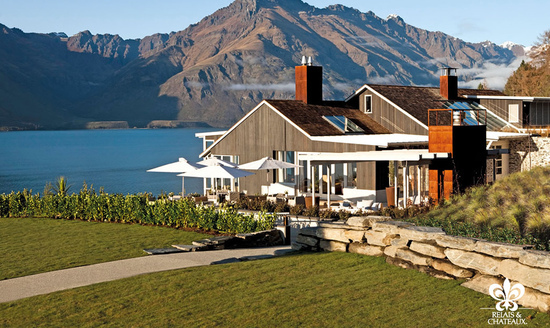 For anyone taking a trip to Queenstown The Matakauri lodge, a sister property of Kauri Cliffs is a must visit. This boutique hotel is located on the banks of the beautiful Lake Wakatipu and is minutes away from the heart of Queenstown. 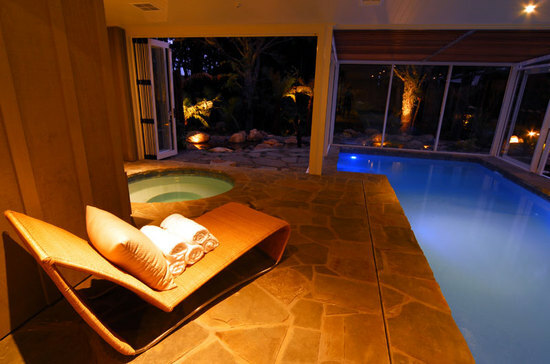 This Lodge style accommodation boasts six luxury villas, and four luxury suites. 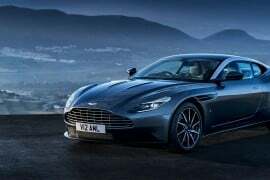 Depending on your personal taste the lodge provides for either white water rafting, bungee jumping and heli-skiing or for the more relaxed hiking, horse riding, trout fishing and wineries. 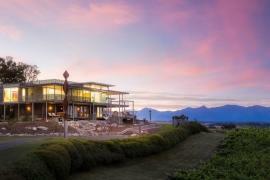 The Matakauri Lodge is the perfect base in an exploration of Queenstown. 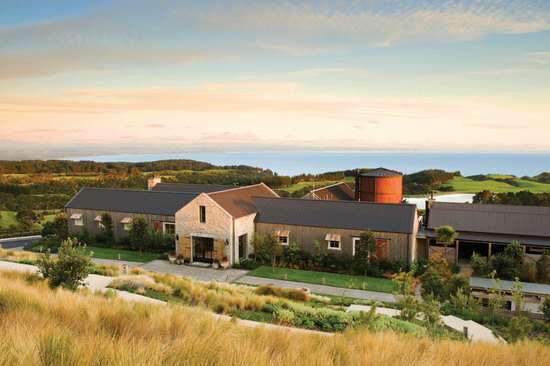 Another sister property to Kauri Cliffs is The Farm at Cape Kidnappers; replete with romance it is the perfect romantic getaway for both newlyweds and more seasoned couples. 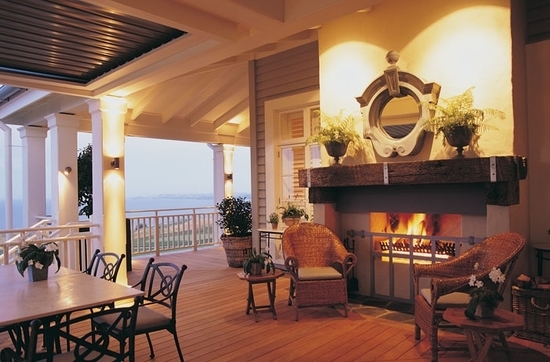 Each Lodge suite offers 5 star luxury accommodations and has the feel of a homely working farm. 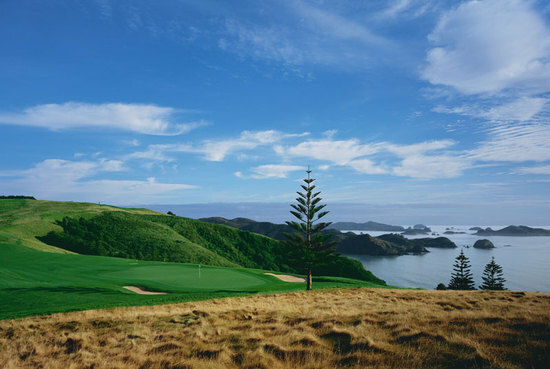 Cape Kidnappers is known for it’s Par 71 golf course and it’s incredible location. 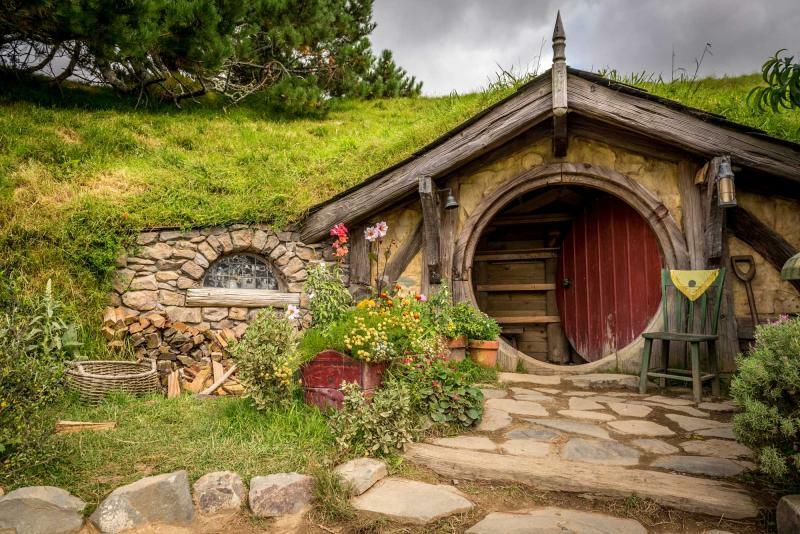 At least one if not all three properties are a must for anyone visiting New Zealand.